Enter your UASC container tracking number below, should have format UACU1234567, get the real-time UASC container status. United Arab Shipping Company(UASC) was established in July 1976; jointly by six shareholding Arab states of the Persian Gulf (Bahrain, Iraq, Kuwait, Qatar, Saudi Arabia and U.A.E). Originally established in Kuwait with its Corporate Headquarters now in the Dubai, UASC serves Asia from Singapore, Northern Europe from Hamburg, the Middle East and Indian Subcontinent from Dubai, the Mediterranean and North Africa from Istanbul, and the Americas from Peachtree Corners, GA, USA. If you have problem with our container tracking system, please track your container directly on the UASC website. If you get no tracking information from UASC official website, you’d better contact UASC. When you ship with UASC, you will get a UASC container tracking number with format UACU1234567, UACU is one of UASC’s prefix. UASC has the following prefix: UACU, QNNU, QIBU and UAEU. 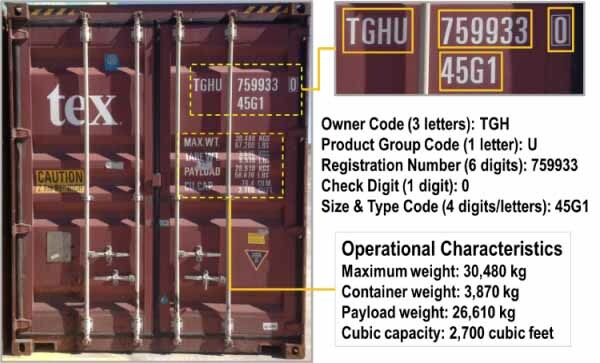 Know more UASC container tracking number information from below picture. If you have problem with our UASC Container Tracking system, submit your problem here, we will help you as soon as possible. Declare: We can NOT contact carrier or others on your behalf, we can only help you track your package with your UASC Container tracking number on official tracking system. AL SAFAT VOY 8143 Have you a date it will be sailing from Melbourne? We provide UASC Container Tracking service only, if you have any problem about your container, please contact the UASC official customer service for more help.